Memorial Day weekend is here… For many that means gardens to plant, grills to dust off, and pools to open. However, having a pool is also a huge responsibility. According to the Centers for Disease Control, drowning is the second leading cause of accidental death in children age one to 14. Such accidents tend to happen very, very quickly. The CDC reports that in most cases, the children involved were out of their parents’ sight for less than five minutes. If you have a pool, you have a responsibility to safeguard it. There is no substitute for vigilant supervision. But there are additional steps you can and should take — including these. Barricade the pool completely. Experts recommend a fence of at least four feet tall, with slats close enough together that kids can’t squeeze between them. Make sure there are no handholds or footholds for agile climbers. In your home, secure doors and windows leading to the pool, so kids don’t have access from inside the house. Keep potential “step stools” away from the fence. That means storing patio chairs, planters, and other climbable items away from your outside perimeter. Make sure your child learns how to swim, but never assume that he or she is safe in the water alone. Many parents overestimate their children’s swimming competencies. Always, always supervise. 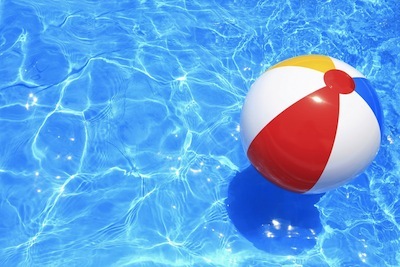 Eliminate temptation — keep toys out of the pool and well away from the pool area when the pool is not in use. Remove pool steps and ladders when you’re not using them. Keep a house phone or cell phone nearby when supervising kids in the pool. This way, you won’t be tempted to leave the kids to answer the phone, and you can call for help if needed. Post emergency numbers close at hand. Learn CPR. If anyone else will be supervising kids in the pool, make sure they learn it, too. Impress upon babysitters that they must follow your safety rules. Adhere to strict diving rules. (Diving accidents can result in life-long injuries.) Never allow diving in above-ground pools, which are too shallow for safety. If you do have an in-ground pool, allow diving only from the diving board, not the sides of the pool.